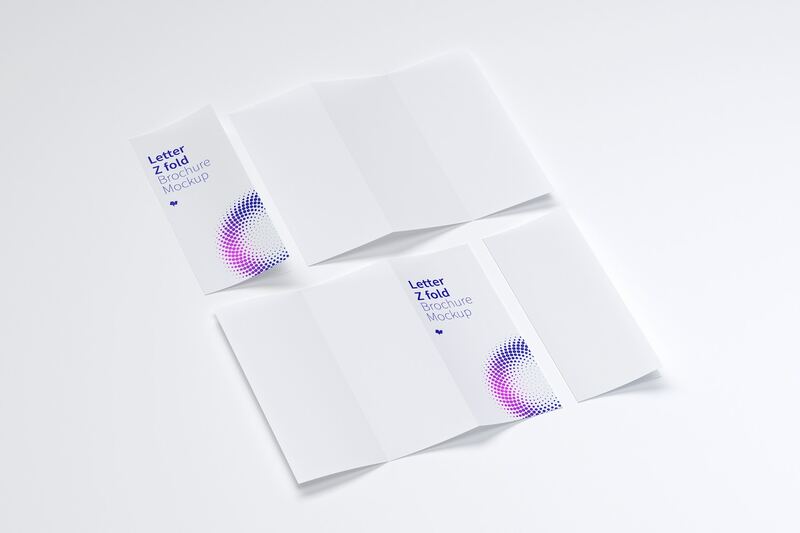 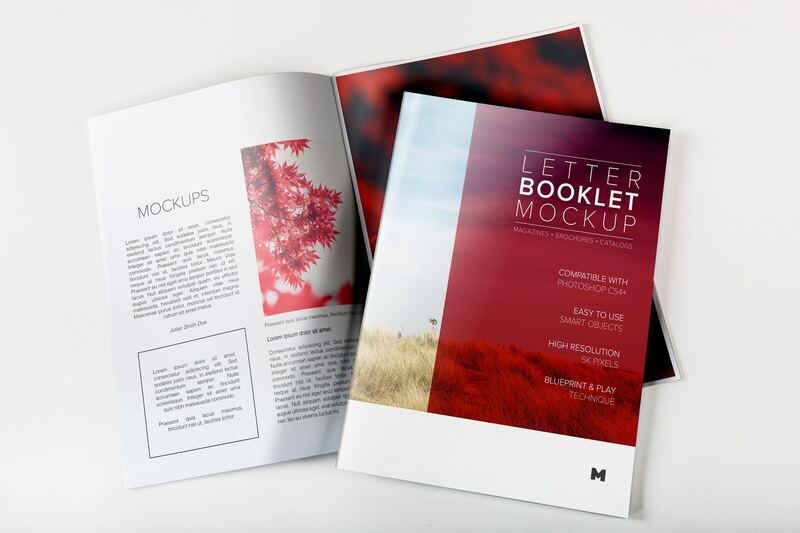 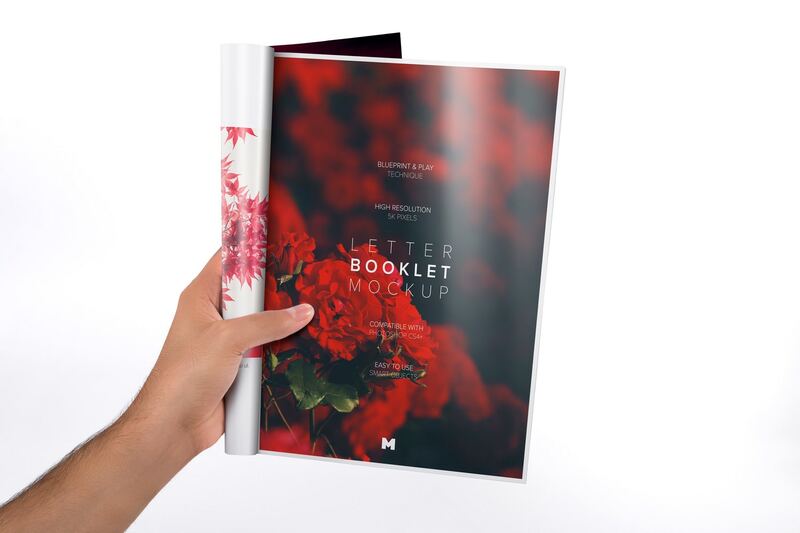 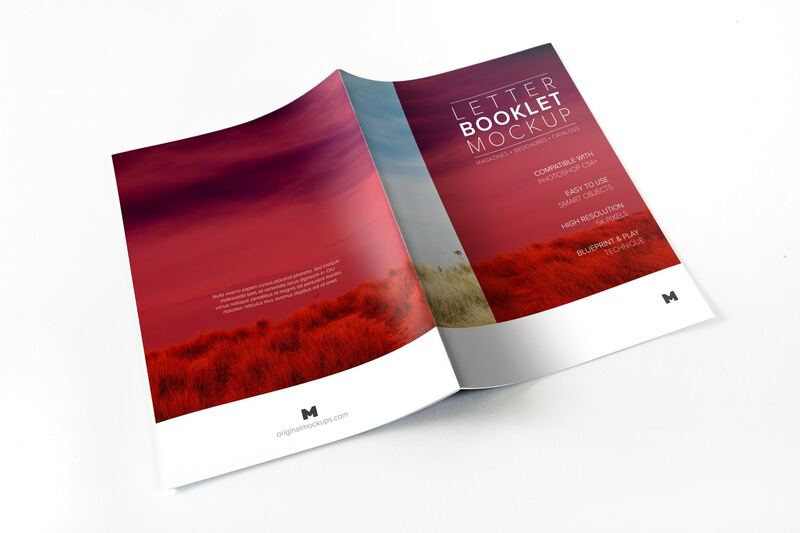 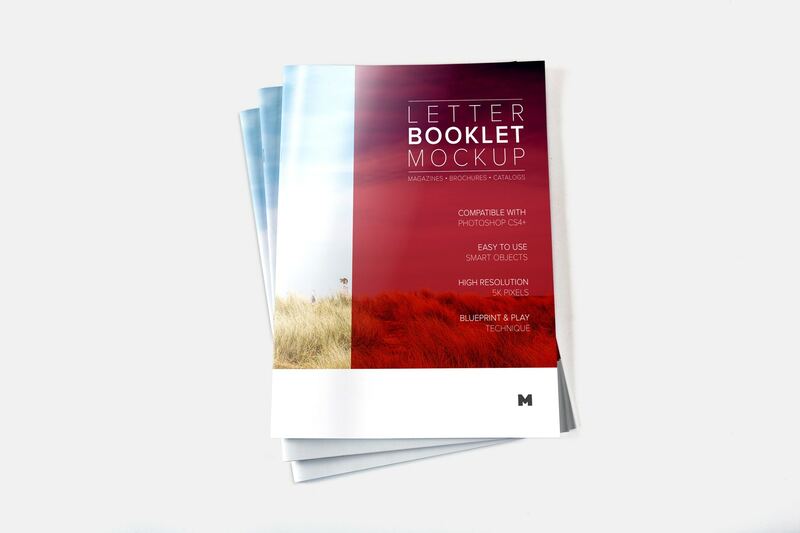 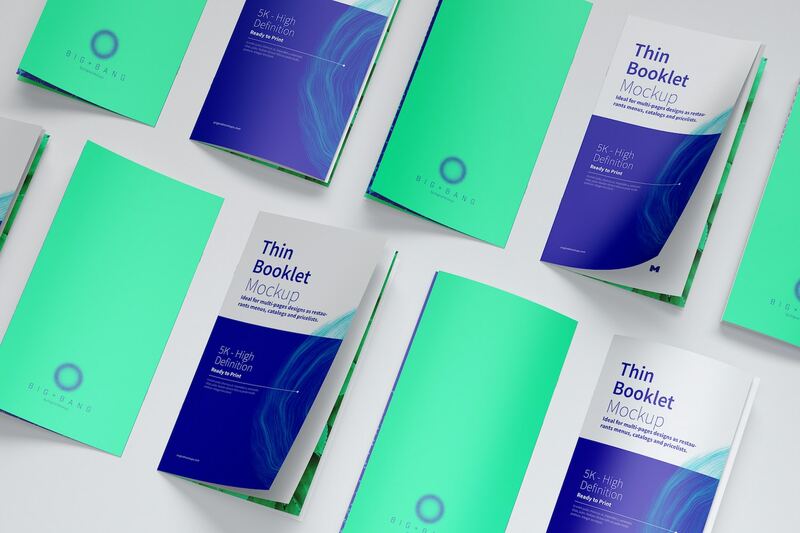 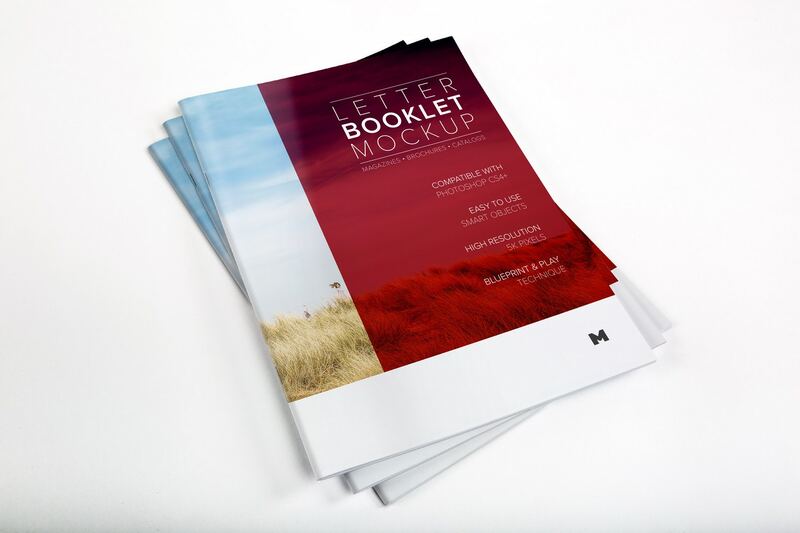 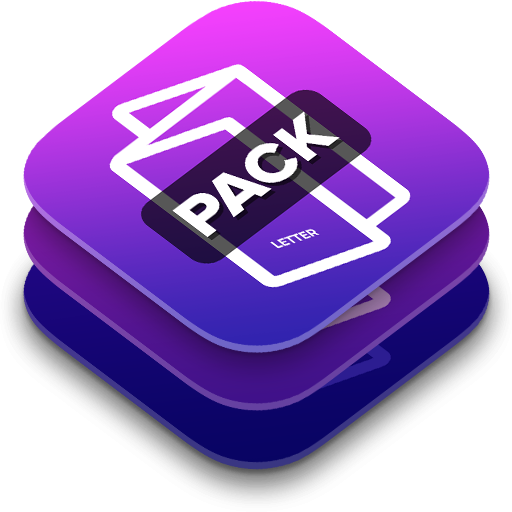 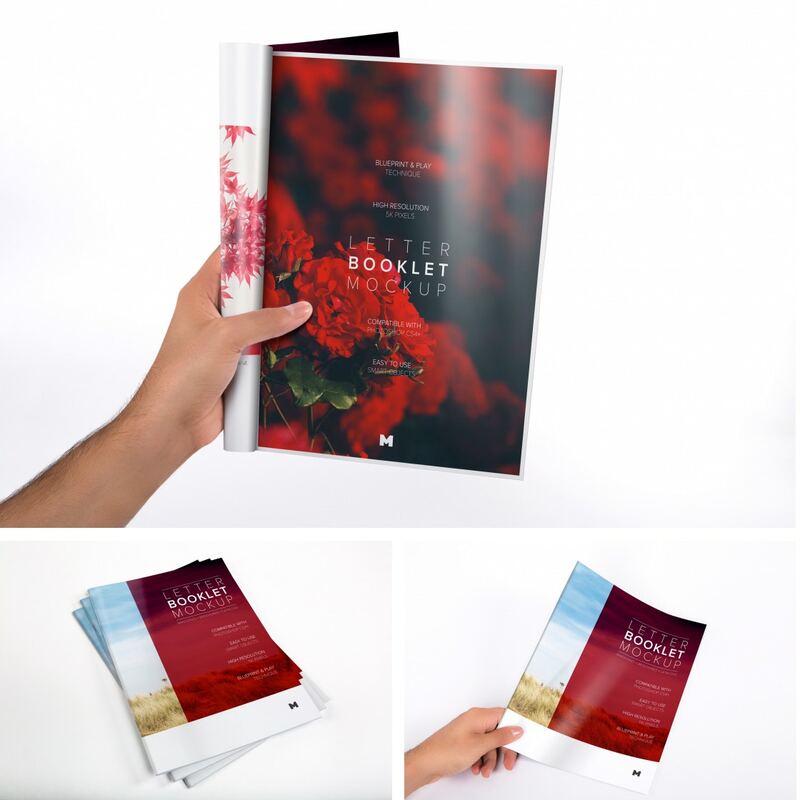 New package of mockups to present designs of letter booklets, there are 6 high quality PSD mockups with 5k resolution, within the package there are mockups that serve to show the front cover or completely open and the internal pages. 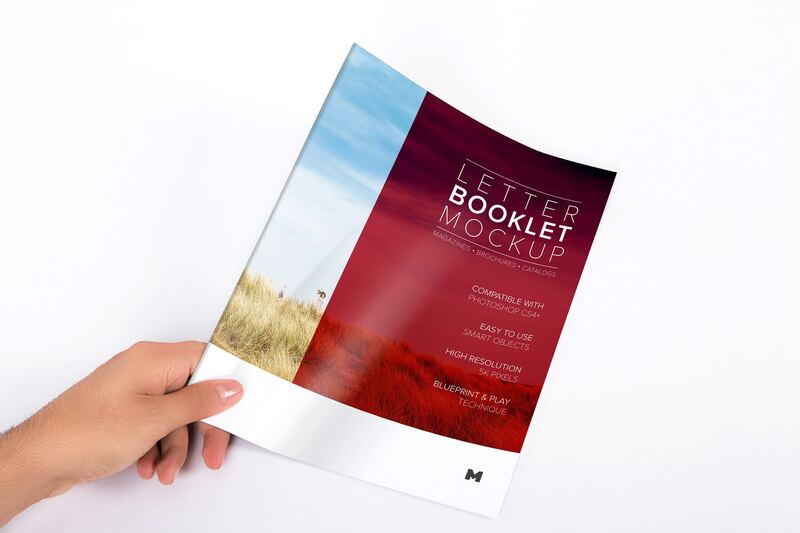 If you have designs of magazines or catalogs you can also present them using these mockups, they are completely customizable, each of them will allow you to adjust the opacity of shadows and brightness depending on your design to give it a much more real touch and that does not look static. 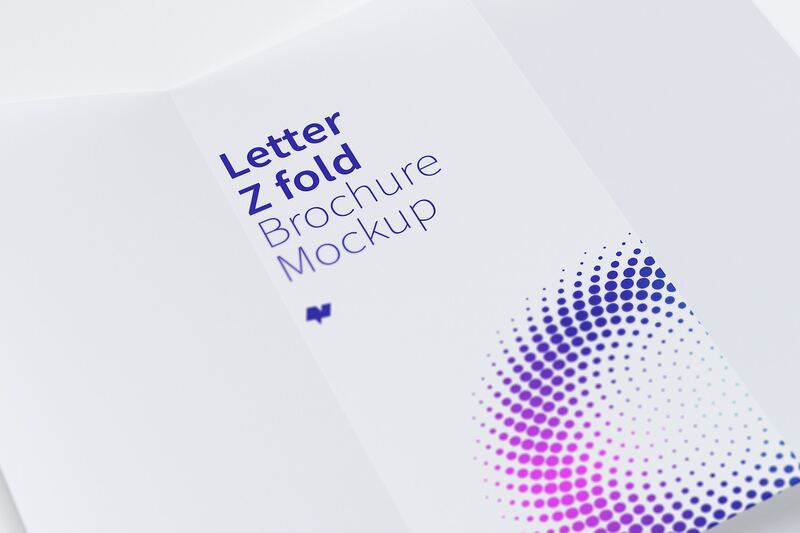 The customization is very simple, all the mockups included in this package use the technique Blueprint & Play and also have a guide in the PSD that will illustrate how to easily handle these files.